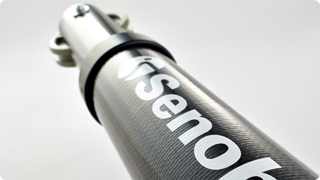 Senoh has the system that meets all of the standards of volleyball’s governing bodies. 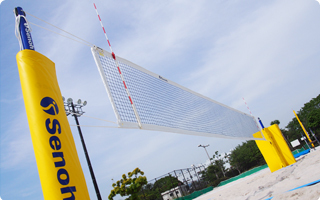 Today, Senoh’s volleyball systems have become the most widely known and used in the world which in turn makes Senoh systems as the international standards. 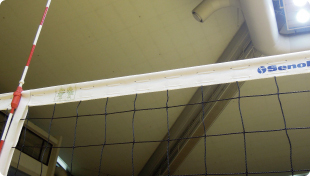 Senoh’s FIVB approved official volleyball uprights (DE1015) are made of special cold drawing steel tube that is specially manufactured only for volleyball. General steel pipe has a joint as it is made by rounding then welding a flat plate. 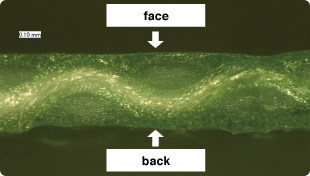 This process enables inexpensive mass production but the welded part causes a quality unevenness. 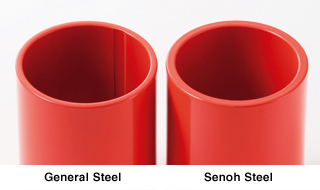 Senoh steel tube has no joint (imagine drawing a hole from a round pillar) and this seamless steel allows inner tube to move up and down smoothly and obtains stability in both toughness and deflection. Also due to its thickness, DE1015 can be approximately 3 times stronger compared to general steel uprights. Senoh Steel Uprights withstand the power of top athletes. 1. 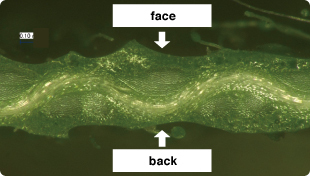 Boundary that the deformation is not restored to its original condition. The lightest carbon uprights (DE5300) have been released by combining Mizuno carbon technology and Senoh manufacturing expertise. This light product (only 23kg in pair) enables women, children, and the elderly, to carry and set up more easily and safely. Besides, the carbon is free from rust and paint peeling in a long term use. For volleyball as lifelong sport — Senoh is proud of providing all the volleyball players with the variety of products that are absolutely safe and have a long life. Senoh’s Beach Volleyball System has been consecutively selected at Olympic Games since Atlanta 1996 to London 2012. In May 2015, the succeeding system comes into the world. The new products are renovated for beach use — dust/ water/ rust proof, easy height adjustment, reasonable weight to handle — and sustain the durability for high performance. Senoh’s bevel gear enables stepless height adjustment (1900-2430mm) and accurate net height setting is feasible according to various floor thickness. Hard to see if net is distorted — Senoh’s technology creates “Perfect Squares” of the net for high visibility. Senoh’s net string is composed of 360pcs of ultra fine fiber (90T). This Superlex (90T/360) enables Senoh net being light, tough, and flexible. Both upper and lower white bands are stitched with cords and adjust the net square s easily. “Perfect Squares” make it possible to highlight your logo. Logo print on DE800361 (official volleyball net with 45mm square mesh) is available upon your request. Rope end is caulked in 2 ranges and the compressed fitting with resin prevents ropes coming off. Tension at side ropes is even and this way of tying prevents crease or tear. Technora cable enables high tension strength and durability without fray or torsion. White band is a part being touched very often — specular working prevents stain or finger marks and keeps the bands white and clean. Uneven surface catches finger marks easily.